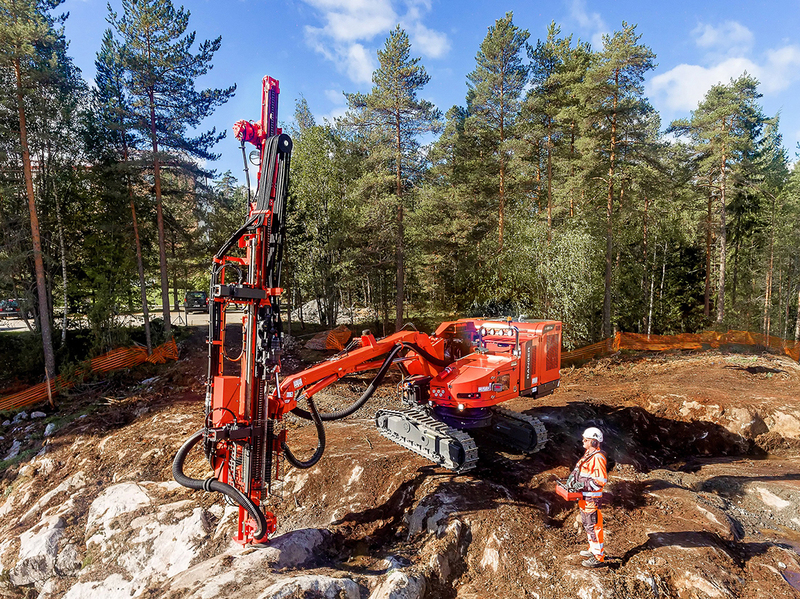 In response to customer requests, Sandvik Mining and Rock Technology is expanding its Ranger™ DX series of surface top hammer drill rigs with two non-cabin Ranger™ DXR versions for improved safety in the toughest quarry and construction applications. 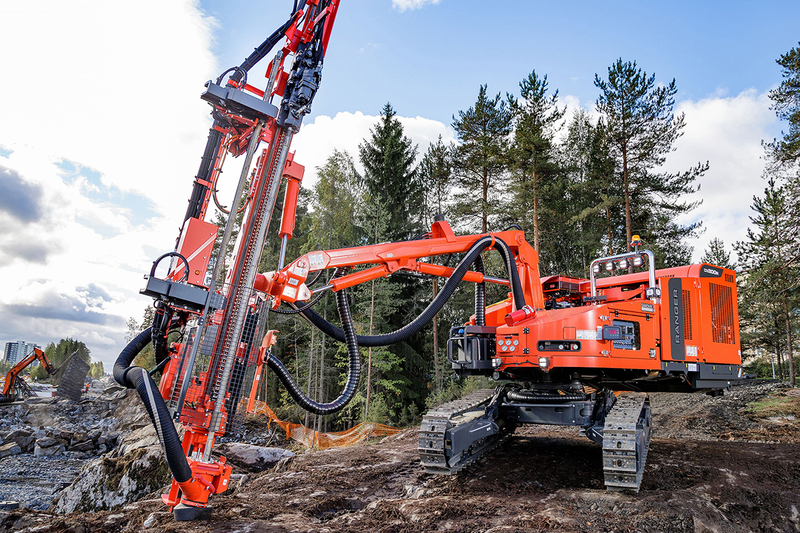 Ranger DX series of surface top hammer drill rigs, suited for construction applications, quarries and open pit mines is now expanded with two new non-cabin drill rigs based on the Ranger DX600 and DX800 models, named Ranger DX600R and DX800R respectively. New Ranger DXR drill rigs can reach places that are off-limits to operators and where other drills fail to operate. They essentially offer the characteristic of conventional Ranger DX series drill rigs, reliability and large drilling coverage area from the standard 17.6m2 (189ft2) to an optional 26.4m2 (248ft2), in a lighter and more mobile package – a superior solution for hazardous conditions where safe and productive drilling requires advanced radio remote control capabilities. 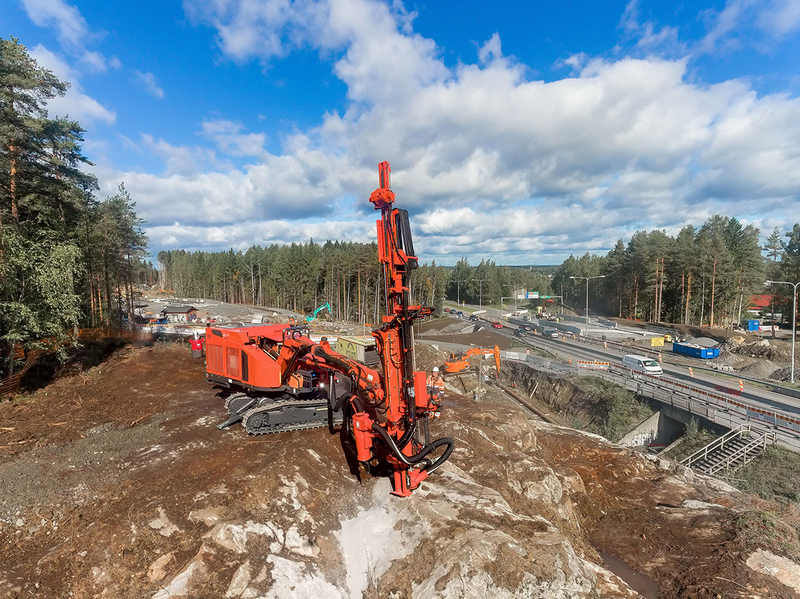 The non-cabin Ranger DXR drill rigs flourish on unstable benches and deep cuts typical to applications such as road and railroad construction, foundation drilling, trenching and pipeline contracts. The most hazardous of these extremely demanding jobs can be downright impossible without efficient remote radio control, which allows the operator to always choose the best position in terms of safety and visibility. The remote control panel also includes tramming control functionalities for fast hole-to-hole movements and precise hole spotting. The revolving superstructure offers unbeatable drilling coverage and superior stability, thanks to the innovative counterweight solution, and provides a solid foundation for drilling even on extreme terrain. In terms of productivity, the revolving superstructure turns Ranger DXR truly to a powerhouse enabling up to 60% more holes to be drilled per set-up compared to conventional top hammer drill rigs. Together with powerful rock drills and Rock Pilot+ drilling control system the Ranger DXR series represent the highest productivity in non-cabin drill rigs. Ranger DXR series drill rigs are designed for 64 to 127mm (2½ʺ–5ʺ) hole size range, with drill rod sizes between 38mm and 51mm (1½ʺ–2ʺ). The standard configuration of the machine can be further boosted with more than 30 useful options, such as extended superstructure turning radius, advanced measurement systems and upgraded dust control. Contractors active in urban areas are likely to find a particularly attractive option in Noise Guard, a simple and rugged cover structure offering a total noise reduction of more than 10dB. It could be a decisive advantage when competing for contracts with strict noise limits. Sandvik Mining and Rock Technology is a business area within the Sandvik Group and a global leading supplier of equipment and tools, service and technical solutions for the mining and construction industries. Application areas include rock drilling, rock cutting, crushing and screening, loading and hauling, tunneling, quarrying and breaking and demolition. In 2017, sales were approximately 37 billion SEK with about 15,000 employees in continuing operations.